For most people, boats are a mode of transportation, a way to get out and enjoy in nature. For Karen being in a kayak or canoe is a form of meditation. 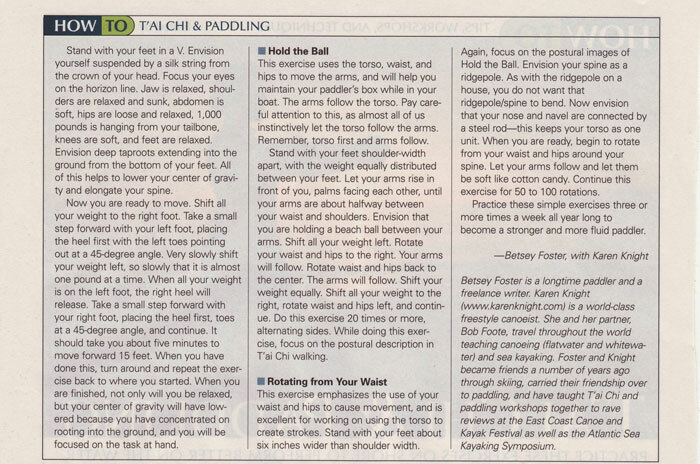 It’s a practice involving strokes, maneuvers, breathing, balance, and inner focus. A union of the spirit, mind and body with the boat, paddle and water. 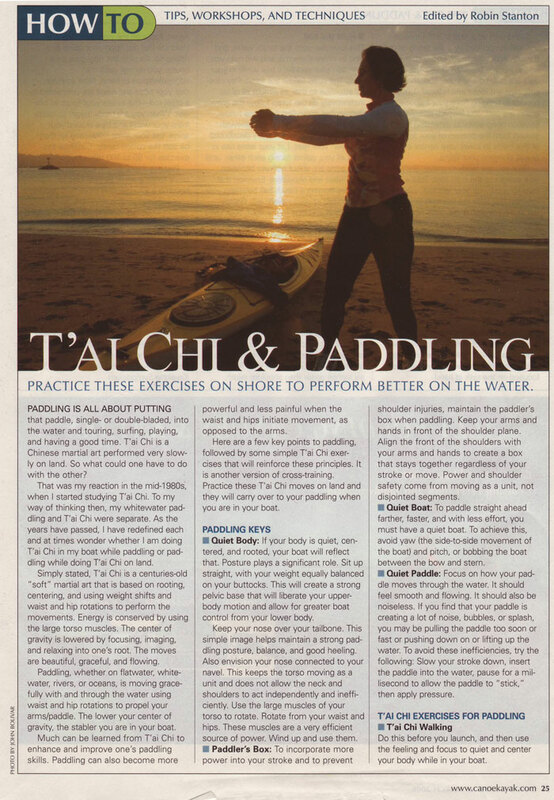 Observers have frequently commented on how her fluid, graceful and serene paddling reminds them of “meditation-in-motion” or “dancing on the water.” While students often tell her that her holistic teaching style is similar to that of a yoga instructor’s. With so many comparisons being made between her and yoga, Karen eventually decided to take some classes and learn more about it. Right away she connected with yoga and knew that she wanted to share it with others. Karen attended yoga teacher training at the Kripalu Center in Lenox, MA and is a Registered Yoga Alliance Teacher (200 Level). 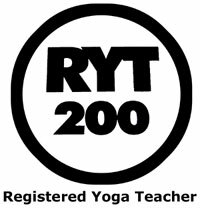 Currently, she is pursuing her 500 Level Teacher Training through workshops and classes throughout the United States. Karen’s yoga classroom and classes are definitely unique. During the eight months she is out on the road teaching paddling, she tries to incorporate yoga into her kayak and canoe classes; as well as on the Grand Canyon and Honduras trips that her partner, Bob Foote, guides. There’s nothing like doing a sun salutation, with the fiery red walls of the canyon as your backdrop. During the winter months in Sugar Land, Texas, Karen provides private instruction in Kripalu Yoga and is interested in teaching at a studio in the future. Stage Two: Kripalu Yogateaches that there is an intelligent life force called prana that guides the functioning of both body and mind. 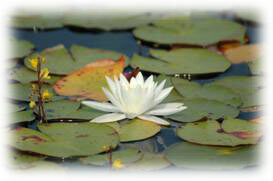 The purpose of Stage Two practice is to become attuned to the presence and flow of this life force. Postures are held for longer periods of time, the mind is focused on the sensations, emotions and thoughts that arise during holding and the body is moved in slow motion and guided from within. Stage Three: This stage can be described as meditation in motion. As practice deepens, prana grows stroner and the ability of the mind to witness its activity increases. As prana awakens, energy flows freely and the body moves spontaneously. One offers the body to Spirit and invites prana to be the guide. The essential mystical truth is realized, Spirit dwells within us. Kripalu’s approach recognizes that the essence of meditation is a state of inner absorption that can occur in wither the flow of movements or moments of physical stillness. Karen teaches stage one classes, which primarily consists of the fundamental principles of alignment, basic poses, including standing poses, forward bends, twists, sitting poses, basic breathing techniques and relaxation. Through the practice of the postures (asanas) and stretches, students can enhance their body awareness, strength, flexibility, balance and energy levels. Internally, vital organs are massaged; the immune and nervous systems are stimulated and the circulation and lymph flow are assisted in the removal of toxins. The regular practice of yoga has been shown to reduce anxiety, stress and blood pressure levels. Breathing exercises, known as pranayama, in addition to the postures, help to increase mental clarity, focus and confidence. Our minds can become overloaded and cluttered with constant thoughts and concerns of daily life. Yoga calms the mind and helps to move us toward peace. 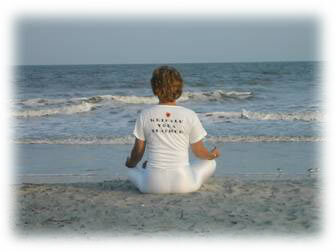 Teaches that the experience of meditation can occur in moments of stillness or flowing movement. Encourages connection to the inner self and promotes self-acceptance. Helps to cultivate peace, awareness and joy within and beyond. By cultivating our yoga practice we can move ourselves closer to a state of fluidity, stability and peace, from which health and happiness can blossom.